If you’ve ever considered adopting a plant based diet, this book is for you. 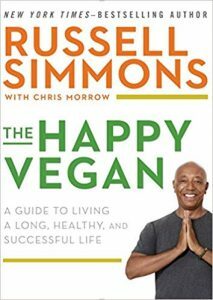 Simmons takes readers on a journey that begins with his personal introduction to a vegan lifestyle and travels chapter by chapter through the reasons why others should consider this lifestyle as well. He appeals to all fronts by exploring the health benefits of veganism, the environmental impact, animal suffering, and the subconscious, emotional impacts of veganism. And, he does all of this with a very direct, no nonsense approach. He does not sugar coat the truth out of fear of upsetting the reader. This is particularly true in the section about animal abuse that contains graphic descriptions of the conditions inside concentrated animal feeding operations (also known as factory farms) and rendering plants. Although difficult to read at times, the graphic descriptions serve as a catalyst for action and force the reader to at least acknowledge, if not fully accept, the truth about where their meat comes from. But, despite this direct approach, Simmons does allow that a plant based lifestyle will look different for everyone. Some may choose to be strict vegans. Some will make exceptions and eat this, but not that. For example, Simmons concedes that he’ll eat something cooked in fish stock, but not beef stock. Simmons encourages readers to find a space on the spectrum that works for them and to do their best at doing the least amount of harm possible. The book ends with tips on beginning a plant based diet, and it includes an appendix that takes readers through the practice of meditation. Highly recommended for adults. Find it in the catalog.